Do you enjoy helping others feel good about the way they look? Do your friends always ask for clothing and shopping advice from you? Do you want to add skills to your existing business? Then working in the Image Industry could be perfect for you! You could be advising men and women: building their confidence, planning their new wardrobes and even getting paid to go shopping! No two days are ever the same…. No prior Colour Analysis or style knowledge is required to become a successful consultant, and there’s no need to have any retail or fashion experience. In fact, we’ve trained consultants who previously worked as engineers, lawyers, air traffic controllers, marketing executives and even a stand-up comedian! We’ve trained mums with young children as well as women in their 50s who are starting their 2nd or 3rd career. The perfect solution if time, work or family commitments mean that it would be difficult for you to travel or leave home to study. The course content is on DVD or online training videos and is supported by in-depth manuals or workbooks as well as a variety of online support and mentoring options. The perfect solution if you want to immerse yourself in the training experience, learning alongside others in a small group environment, whilst receiving support, feedback and advice directly from Gail. You also receive ongoing online support and mentoring after the training course has finished. If you would like to combine elements of the Face to Face training with some Home Study then this is possible – please call the office to discuss your options. The courses all include in-depth style training manuals and workbooks, all the relevant equipment you will need to get started as well as focussed business and marketing advice to help you launch your new career. combine image work with your existing business and get more clients! With Study in Style’s experience and support, you could be building your own rewarding and successful business in the image industry within days of qualifying. 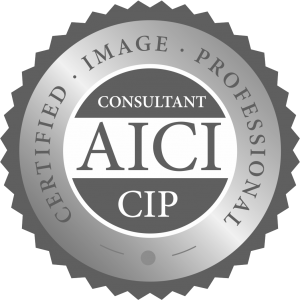 Study in Style training content, equipment and materials are all regularly audited by The Federation of Image Professionals International (FIPI), ensuring that our training meets the standards set by the FIPI/City & Guilds of London Masters Award in Image Consultancy.